If you’re in the job market, or testing the waters by sending out that old text document résumé, then stop. The job market is hotter and more competitive than ever. There are opportunities to be found, but you have to find a way to stand out from the scores of other applicants. One of the most effective ways is by designing a new professional résumé. 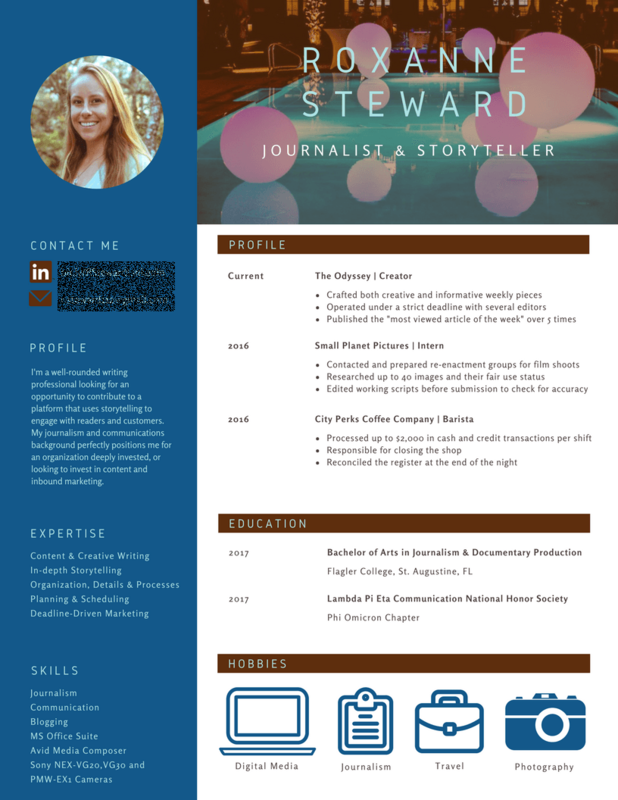 I provide candidates in Orlando and beyond with new, professionally-written résumé Designs. From new college grads, to returning to work or just putting yourself out there to see what’s available, a critical part of the job-seeking process is your resume. If your resume is out-dated or boring, guess what will happen to it when it lands on a hiring manager’s desk? It goes straight into the “vertical file” (aka the trash can). Your résumé is your first impression. Make it count. You’re unique, and it’s important that recruiters and hiring managers see that. When it comes to finding a job, you have to make a great first impression, and most often your resume is the way that first impression is made. 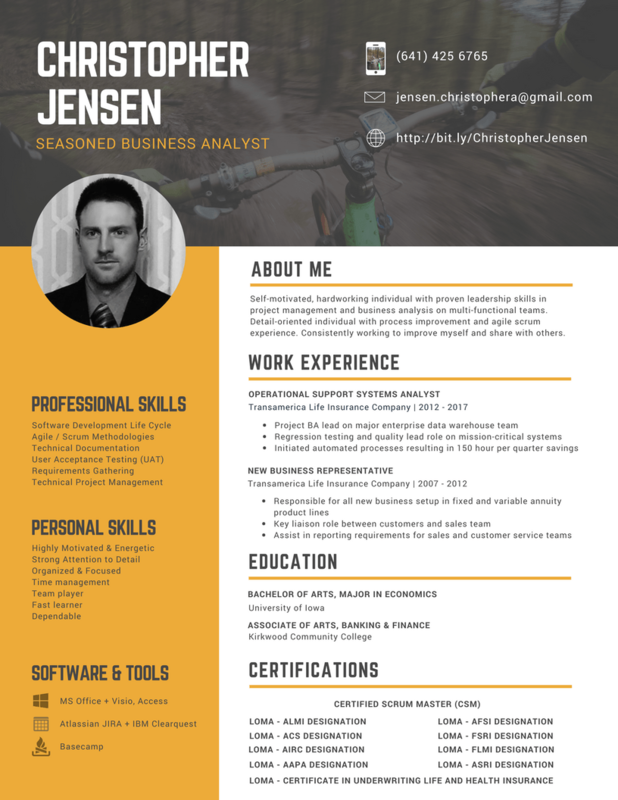 Stop settling for boring, text document resumes and let me help you design and write a new resume that will help you stand out from the crowd. Click any design below to view a larger version. Do you want a new résumé, too? These job seekers took the an important step toward finding their next opportunity. I can help you with a new résumé as well! My goal is to be flexible and accommodating with all of my résumé clients. If your needs differ from the options you see below, please don’t hesitate to contact me to discuss your needs. Is a custom résumé design really that important when looking for a job? Absolutely! Forbes reported that an average of 116 candidates apply for each job opening. That means you’re competing with every one of those people for that one job. The only way to have any chance at landing an interview is for your résumé to stand out. Can I have more revisions done to my résumé? Yes, I offer unlimited rounds of revisions for my résumé writing services. Some revisions can be done without charge. Major revisions will incur a fee. My preferred method of payment, and the most convient for both my customers and for me, is to pay for my résumé writing services via PayPal. Full payment is expected upon delivery of the completed résumé design. For custom résumé designs that include multiple versions or professional photography, I request a 50% deposit before work begins. Can I make edits to my résumé after its delivered to me? Completed résumés are delivered as PDF documents and PNG or JPG image files (or all three). You may be able to made edits to these files, but I am not able to provide native design files for résumés in most cases at this time. I’m happy to accommodate any special request, so be sure to contact me with your needs. I’m based out of southeast Orlando, Florida and operate primarily in central Florida, including Orange, Osceola, Seminole, Volusia and Lake counties. I provide content creation, blog writing, social media content and custom photography services to companies all over the world. Contact me today and let’s discuss your specific needs. 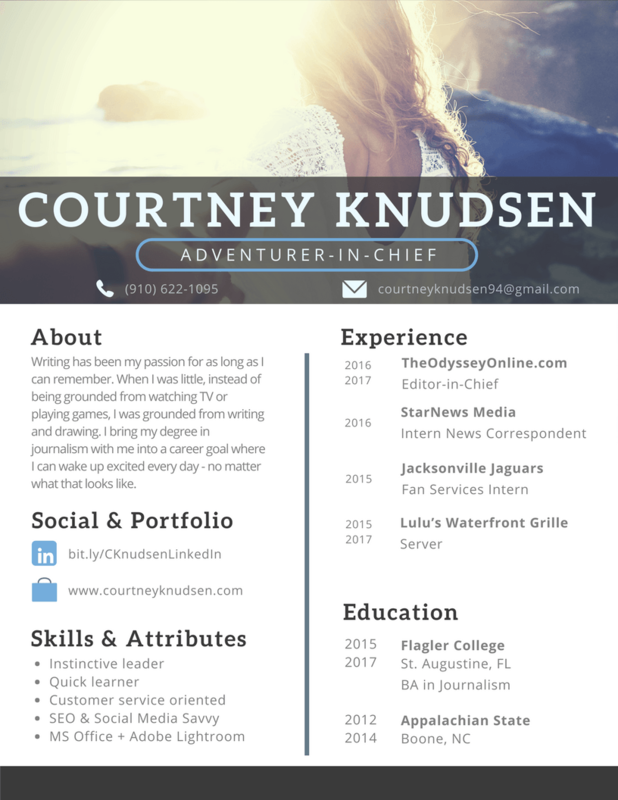 Have questions or résumé design or writing needs? Feel free to contact me anytime.